1048.00 sqft. - 2451.00 sqft. True to the name, Jones Dawn Villas are sure to bring a fresh breath of energy, warmth and comfort to oneâs life. Artistically designed Jones Dawn Villas comprise of aesthetically designed and breathtakingly beautiful luxury villas spread across acres of spectacular landscape. The project takes pride in claiming that these villas are specially constructed for those who take time to luxuriate in the marvels of life. 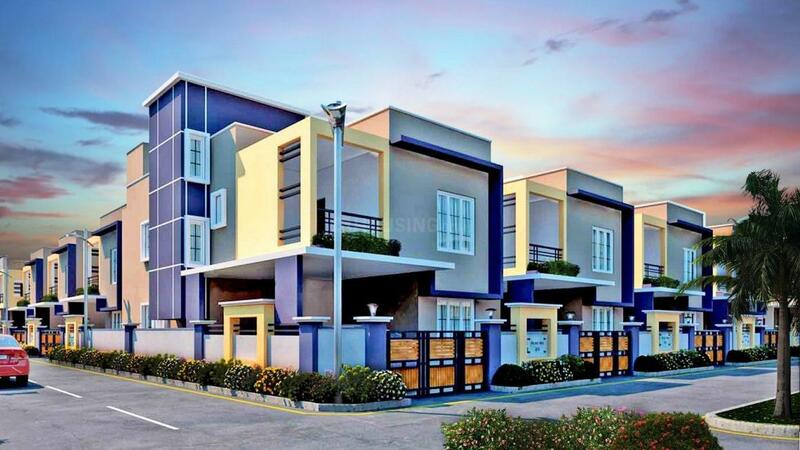 Jones Dawn Villas is a masterpiece that cannot be defined in the usual terms to define villas. It is a pure work of art. It encapsulates convenience, luxury, space, greenery, entertainment, recreation that is as much part of oneâs grand life. Moolacheri is an emerging suburb of Chennai. Several schools and colleges like Prince College, Magarishi Vidyamandir, SBIOA School, Velamal Vidyashram, and Chennai School of Ship Management are in the close vicinity of the site. A network of roads that include Vandalur- Kelambakkam Main Road, Old Mahabalipuram Road, Mambakkam Main Road and Perumbakkam Main Road etc. connect the site to places like Tambaram, Velarchy, Medavakkam, Sholinganallur and Bollini Hills. Hospitals like Global and Kamakshi are also close by for immediate medical attention as and when needed. The reputed SIPCOT IT Park is minutes away from the site while places like Nilgiris, DLF Homes, Sithalapakkam Panchayath Office, Kaleeswari Refinery, Cognizant and MPL Ford share proximity to the site. The Ponmar Railway station is at a walking distance from Moolacheri. Also, Railway stations of Mambakkam, Sholinganallur, Medavakkam and Velarchy are also easily accessible from Moolacheri, making it an ideal destination for daily travelers. Innovation, Quality and Commitment are the driving principles that have made Jones Foundations a big name in the construction industry. With more than two decades of proficiency and with renowned projects under them, they have surpassed all expectations. A dedicated team with an enthusiasm to excel and an urge to constantly innovate with changing times has set them apart from competition. 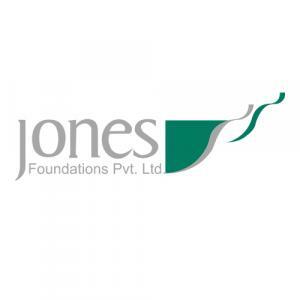 With numerous innovative projects in the pipeline Jones Foundations is all set to change the landscape of constructions. It’s not just about gaining the trust, reliability and favour, for this group, it’s about ‘maintaining’ these factors that mean much more.